Helpful in preparing a training. For example, I talked with a head hospitality coordinator for a large church in Pennsylvania. I had always aimed this book at smaller churches that were just getting started, but this leader applied Church Greeters 101 to a non-organized ministry of welcome in the large church where he serves. “I started out as a volunteer, then became an usher, then head usher, and now 2 years later, I lead the entire hospitality department of our church, over seeing a few hundred volunteers. 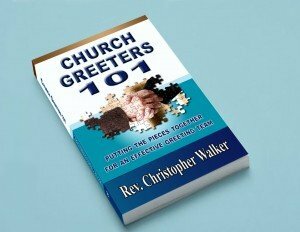 Have you read Church Greeters 101? I know that many of you have read the electronic version of Church Greeters 101 before I turned it into a paperback and e-reader version in June of 2013. Would you go right now to Amazon and write a review of the book? Click the button below to go to Amazon’s listing and leave a review there. More reviews will help the promotion on Amazon.